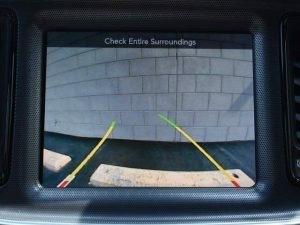 SELLER Notes for this *Dodge Challenger*: CLEAN AUTOCHECK…..NO ACCIDENTS, ONE OWNER, COMPLETELY SERVICED AND INSPECTED, INCLUDES LIFE TIME WARRANTY ASK SALESPERSON FOR DETAILS, REMAINDER OF CHRYSLER FACTORY WARRANTY, TWO SETS OF KEYS, LOCAL TRADE, 506 Watt Amplifier, 9 Amplified Speakers w/Subwoofer, ABS brakes, Alloy wheels, Compass, Dual Bright Exhaust Tips, Electronic Stability Control, Emergency communication system, Front dual zone A/C, GPS Navigation, Heated door mirrors, Heated Front Seats, Heated front seats, Illuminated entry, Low tire pressure warning, Navigation System, Passenger door bin, Quick Order Package 21C SXT Plus, Remote keyless entry, Sound Group II, Traction control. 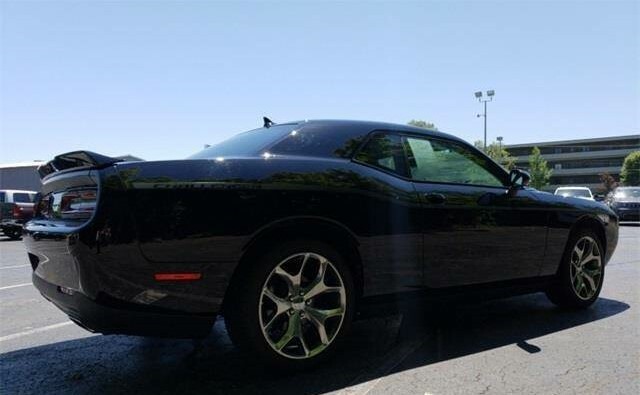 Pitch Black Clearcoat 2015 Dodge Challenger SXT Plus 2D Coupe RWD 8-Speed Automatic 3.6L V6 24V VVT Experience the La Porte HOMETOWN experience. LOCAL FAMILY owned for 45 Years and counting! We are La Porte County’s ONLY LIFETIME WARRANTY dealer and provide our clients the advantage package with every purchase. 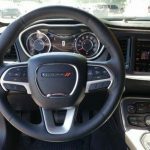 Full tank of gas, first free oil change and strict pre-owned inspections are just the beginning of the many benefits you will receive from La Porte Chrysler. 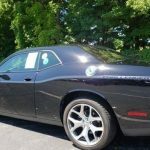 We price all of our pre-owned inventory based on the market, thru extensive research, and offer to you, an extremely competitive price up front and displayed online for every vehicle NEW and USED. We have programs for good credit, bad credit and no credit. Prefer shopping at home? Please contact Debbi, your personal assistant for all your shopping needs! . We are not for sale and never will be, 45 years and counting! Come to La Porte and experience a friendly no pressure hometown buying experience. Thank you for taking your time to browse my inventory, Matthew J Magnuson, Dealer Principal, . Odometer is 21985 miles below market average! 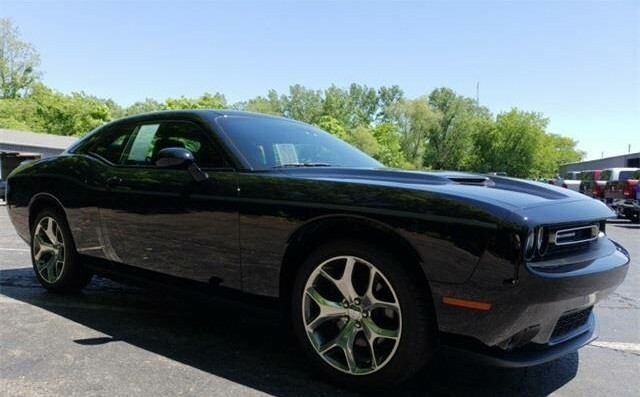 30/19 Highway/City MPG Reviews: * Who doesn’t love the classic looks of the Challenger? 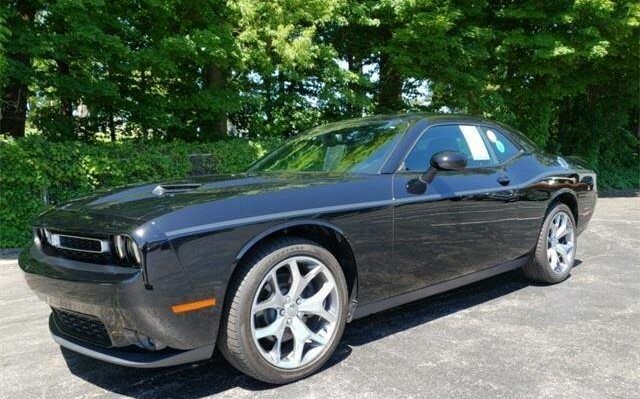 Beyond that, if you crave the power and sound of a Hemi V8, or simply hate tires so much that only 707 horsepower will let you destroy them quickly enough, then there’s a 2015 Dodge Challenger for you. 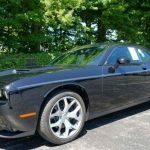 Source: KBB.com * Strong V8 engines, topped by the new 707-hp Hellcat; supple, quiet ride; room for four adults; huge trunk. 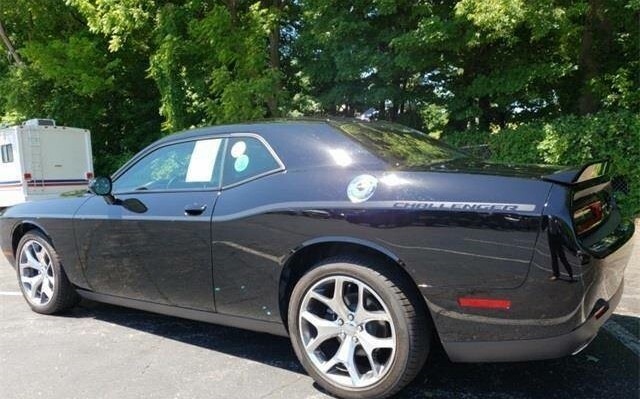 Source: Edmunds * 1971 looks even better the second time around thanks to the new 2015 Dodge Challenger. The iconic heritage-inspired split grille surround and aggressive brow designs are back with attitude and new projector headlamps with quad LED halo surrounds with available projector fog lamps. 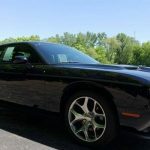 The functional, performance-tuned exterior retains the Challenger design heritage with not-so-subtle air-gulping hood inlet, functional front splitter, rear spoiler and dual chrome exhaust outlets. 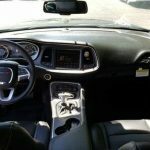 The interior has been completely redesigned around the driver. The Tic-Toc-Tach retro-style gauges flank the new class-exclusive 7-inch reconfigurable digital cluster display. It provides a multitude of vehicle information displays, including 0-60 time, reaction time, and g-force meter. Adjust the performance of the engine, transmission, steering response and traction control with configurable drive modes on performance pages, view 3-D navigation guidance and take advantage of Pandora, Yelp, your own WiFi Hotspot, as well as other great apps from the new class-exclusive available 8.4-inch Uconnect Touchscreen. 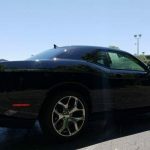 There are three paths to relentless power: a 305hp 3.6L Pentastar V6 engine, the available 375hp 5.7L HEMI V8 engine or the new available 6.4L HEMI V8 engine with an estimated 485hp. A new electronic sport shifter is paired to the new class-exclusive TorqueFlite eight-speed automatic transmission+ with AutoStick. 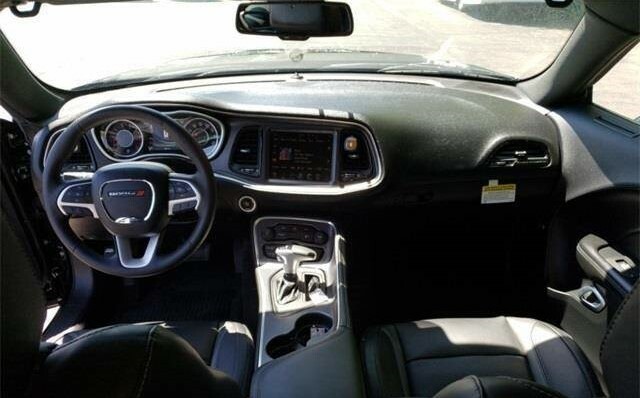 Or choose the six-speed manual transmission, standard with the 5.7L HEMI V8 engine, and shift the gears yourself. 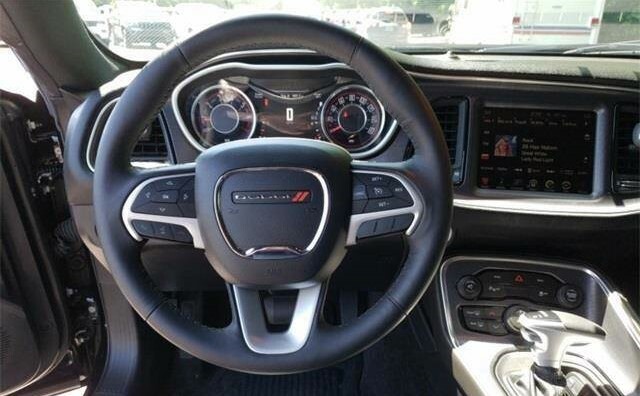 SRT versions of the Challenger are available as well in the form of the Challenger SRT 392 as well as the Challenger SRT Hellcat which is the fastest and most powerful muscle car e, 2015 *Dodge Challenger* SXT. Feel free to contact us.